Significant changes could be coming soon to community boards. Term limits for board members, along with a provision to make boards more representative of their communities, will appear as items on the general election ballot this November, the city announced last week. The two items, among several proposals, come after hearings and forums organized by the New York City Charter Review over the past several weeks. The Commission was created by Mayor Bill de Blasio earlier this year, with the goal of going over the entire city charter as part of the administration’s DemocracyNYC plan. The Commission proposes limiting community board members to four consecutive two-year terms after April 2019. Currently, board members serve for two-year terms and are re-appointed with no limit. Terms served prior to the new policy would not count toward the term limit count. Members, in addition, could still re-apply to be on a board after one full term out of office. As for encouraging diversity, transparency, and uniformity to the appointment process, the Commission is also proposing that borough presidents be tasked with seeking out persons of diverse backgrounds, and make applications available on their websites. The proposal also calls for an annual report to be made disclosing information about membership and the board recruitment and selection process. The Commission, additionally, proposes for boards to receive more resources, including access to urban planning professionals and language access resources. The community board proposals are one of three ballot item categories, with others including proposals in campaign finance and civic engagement. Much of the response to the Commission’s proposals has centered on term limits for community board members. Many opposed to the initiatives fear that term limits could weaken community boards by pushing out long-time members who may have developed institutional knowledge on several areas related to community development. Those fears were expressed by four borough presidents, including Queens Borough President Melinda Katz, who said in an August letter to the commission that land use items would be most affected by the term limit initiative. “To impose term limits on these members serves to further empower real estate developers and the lobbyists and technical advisors who appear on their behalf before the community boards,” the letter reads, according to reports. Those in favor of the proposal, however, say term limits allow new voices to come in and make for better representation. Brooklyn Borough President Eric Adams, who did not sign the letter to the Commission, said he’s a “strong believer” in term limits, as they can help bring in people with fresh ideas. Efforts to reform community boards have come up several times in the past, with the same arguments for and against put forward. Council Member Daniel Dromm of Jackson Heights, for example, introduced a bill back in 2014 to institute a 12-year limit to board members before they could no longer serve. Dromm said at the time that while he has great respect for those that have served for decades, community boards should change to ensure new ideas, cultures, and backgrounds are represented. The bill was backed by Council Member Jimmy Van Bramer, who said that the changes to boards would be healthy and representative of good government and democracy. Some Community Board 2 members in Sunnyside also weighed in on the matter, with Lisa Deller, head of the land use committee, believing that term limits would diminish the power of the community board, as members would have to leave once they develop a level of expertise. 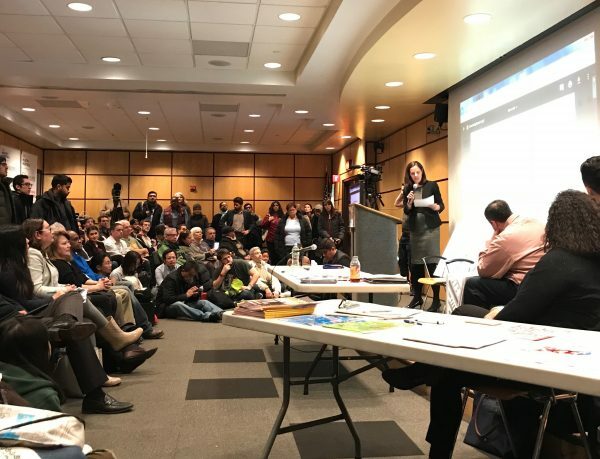 In a recent op-ed, Jeremy Rosenberg, another Community Board 2 member, said term limits would strengthen local democracy, and that board members who finish their run can continue to serve their communities in other capacities like civic associations, tenant groups, and even in the public comment section of meetings. The proposals for term limits, and other measures, will appear on the ballot for the Nov. 6 general election.